The following page will give you info on our 3 Featured venues along w/ all venues in our area that we can and have booked. Harrisburg Midtown Arts Center is a Beautiful building set right in the middle of Harrisburg w/ numerous rooms for concert events. Stage on Herr downstairs is a small club room who’s hosted acts such as Flaw, Green Jelly and even a seated event with The Crash Test Dummies. Upstairs you have The Capital room which is the larger of the two who’s hosted acts such as Atreyu, Crazy Town, Buckcherry and Martin Sexton among countless others. With three bars, an elevator and even a pool table the venue is a place for everyone. Club XL just opened its doors in the spring of 2018 w/ a huge stage and state of the art sound and lighting system. Located directly across the street from Savahanna's, The venue intends to bring national artists to town already hosting artists like Puddle of Mudd & Kix. Amethyst is a beautiful retreat and wellness center located in Duncannon PA. The center offers camping, hiking and you can rent out the house. 717 Entertainment works with Amethyst in many ways. ABC is located in harrisburg w/ a Huge room upstairs for shows. The venue has what some call the best restaurant downstairs. The venue itself has numerous pool tables and plenty of seating w/ a dance floor in front of the stage. Blarney's features two stages and a huge outdoor deck, it has gone by the names Wanda's, The Hardware Bar and among others. The venue showcases Country acts on Friday and live music on Saturday nights. There is numerous rooms and its attached to the Park inn hotel for your convenience. The Chameleon club has been around for a long time and hosts most the national artists come through our area. The venue is only about a 45 minute drive from Harrisburg. The champ is tucked back in a cozy little spot in lemoyne. The venue is all ages and features no alcohol. Right off of 83. The venue is generally used for softer jazz and the like. The Depot in York Pa is a smaller venue for a much more intimate concert experience. The Venue is located on the end of a block w/ plenty of parking. Fat Daddy's has York's biggest stage and generally will house cover & Party bands on Friday & Saturday Nights. Johnny Joes is one of the few venues in Mechanicsburg with a smaller more intimate vibe. The venue books original & Cover bands on Friday and Saturday nights. During the week they have karaoke and poker nights. Reverb is the chameleon club of Reading. Located in town w/ plenty of parking, the Reverb brings in national artists weekly, especially focusing on heavier artists. 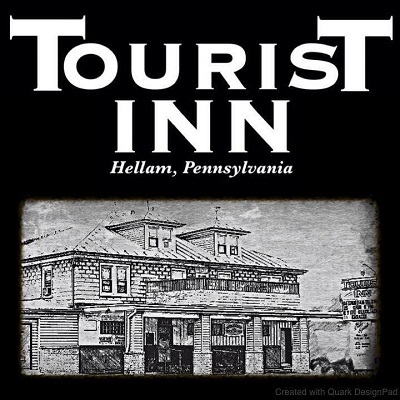 The Tourist Inn located in Hallam Pa is a nice size room tucked in the back of a bar. The venue offers pool tables, full bar in two locations. You can come for the music or to just grab a drink. The stage is a full size w/ great lighting and sound. Load in is simple w/ a side door. special events Room that books local bands generally once a month. announcing their closing and cancellations of all upcoming events. you had to go right passed the stage. new location and open up a new club hopefully by 2019.